17/166 David Mumpower Religious parents over the next generation should find this movie to be a wonderful indocrination for their children, particularly the themes of sacrifice and redemption. 18/85 Kim Hollis Walden Media did amazing work here. I was extremely pleased with the big screen adaptation. 38/60 Les Winan True to the books, vastly inferior to every moment of The Lord of the Rings trilogy. Cheesy effects can't ruin Tilda Swinton's fine performance. On a fateful day in 1926 at an ordinary Oxford University faculty meeting, a meeting took place that would change the course of literature. Without C.S. Lewis's encouragement and feedback, J.R.R. Tolkien might never have completed (or at the very least surely never published) the books that make up the Lord of the Rings series. Likewise, had Tolkien never helped Lewis to learn how to communicate about the Christian faith through imaginative writing, The Chronicles of Narnia might never have come to be. Now, nearly 80 years later, the close friendship and connection between the two devoutly religious men is destined to be emphasized again. As everyone who hasn't been hiding under a rock knows, Tolkien's Lord of the Rings has been successfully translated to one of the most successful film franchises of all time. After $2.8 billion worldwide, 24 Academy Award nominations and 17 Oscar wins, including a Best Picture nod for The Return of the King, the beautifully crafted movies were a tribute to an author who is beloved all around the world. Combine the success of the movie adaptations of the Lord of the Rings tales with the fact that The Passion of the Christ is indeed solid proof of the fact that audiences are (definitely) interested in deeply Christian works, and it is almost a foregone conclusion that the Lewis series should find its place in film history. And so it is that the first story in the Narnia series -- The Lion, the Witch, and the Wardrobe (keeping in mind that The Magician's Nephew was treated as a prequel) -- is being developed for the big screen. Like the Lord of the Rings series, the film is targeted to have a holiday-impacting December release. And also like the Lord of the Rings series, the special effects will be handled by WETA Digital, which has plans to use a real, live lion to play the role of Aslan. After seeing how well the effects wizards handled the Oliphants in Return of the King, this is a fascinating prospect indeed. Most everyone is familiar with the novelization of The Lion, the Witch and the Wardrobe even if they have never read any of the other books in the Narnia series. The books have sold over 65 million copies worldwide, which compares very favorably to Tolkien's series. Since Ballantine/Del Ray took over rights to the Lord of the Rings series in 1965, they've sold over 60 million mass market copies (the distinction here is that mass market means 'paperback' and that the Rings series entered the market in the mid 1950s). The Narnia books are targeted a bit more solidly at the young reader, though their allegorical nature makes them a fascinating read for adults as well. It is this aspect of the demographic that promises to make the upcoming The Lion, the Witch and the Wardrobe so potentially explosive as far as box office prospects. The length of the Lord of the Rings films alone makes them prohibitive for the shorter attention span of many young ones. The Narnia series, and The Lion, the Witch and the Wardrobe in particular, are appealing to kids because the protagonists themselves are youths. Siblings Peter, Susan, Edmund and Lucy Pevensie are sent to live with an elderly professor during the WWII raids. While exploring his expansive old home, Lucy discovers that she can enter an old wardrobe closet that takes them to a land called Narnia. She meets a faun named Mr. Tumnus, and from there, the adventure begins. It's not long before the other brothers and sisters become aware of this wonderful land. Not only is it inhabited by strange and fantastical creatures and people, but it also is frozen over by a winter that never stops by an evil witch/queen (who just happens to be enchantingly beautiful). 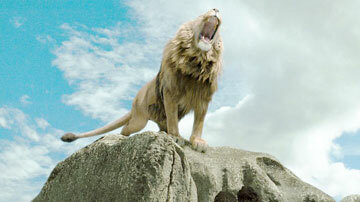 The children join the regal lion Aslan to help defeat the witch, break her spell, and free the residents of Narnia. See the latest developments for this project on the The Chronicles of Narnia: The Lion, the Witch and the Wardrobe Movie News page.